Family size cooker serves 2-4 people. 3 heat settings: high, low, keep warm. Wrap around element - no need to stir. 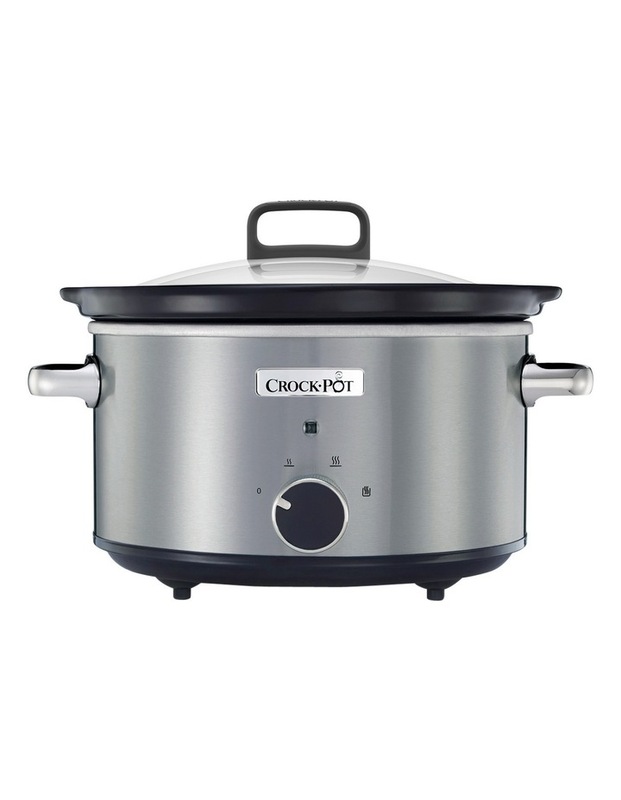 Oven & dishwasher safe crock. 4 week recipe plan included.